The glittering dust from the party may have settled, but the community-creation train rolls on. From drawings to sculptures to cosplay to more sculptures, this round of fan art has it all. So don't wait, click play already! Keep your eye out for Annie, Tibbers, Teemo and more in Punishmentman's take on Ziggs hosting a tea party. Delicate lines, soft pastels, whimsical storyland and…bombs? It's easy to mistake the minions marching down the lane for mindless puppets, but ShadowsXIV takes a deeper look at everyone's favorite diminutive denizens of the Rift with a detailed sculpture that captures the finer points of casting spells and glaring menacingly. JoJoRama Requiem clearly felt that just because Xerath is an amorphous mass of magic energy doesn't mean he shouldn't join in the sculpted fun. Intricate chain work and a hint of glowing power make this take on the Magus Ascendant an Arcanopulse-tossing work of art. It's not all sculpture and statues in this showcase – Elemental93 used remarkable color and comic-like style to render one of our newest champions: the Chain Warden. Cling clang go the chains, better hide your face. Cling clang, oh the chains. Thresh in the showcase. 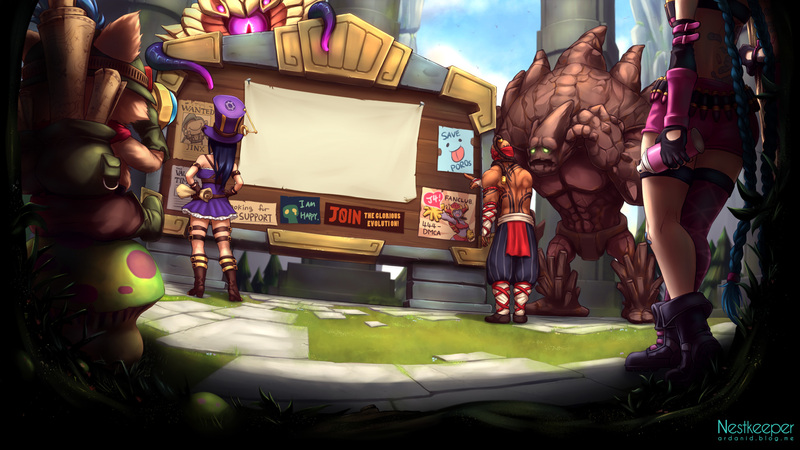 That's all for now, but keep those submissions coming, summoners. 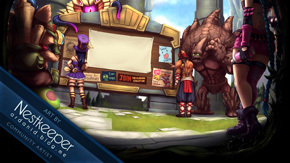 Head here to send us your fan art, sculpture, robot Kog'maw or other crafts for our consideration, and we'll see you on the Fields of Justice!